Sales training is a very individual effort; it varies by industry and by individual. That’s what Competitive Resources does best. We customize a sales development program for your business, your market and your employees. From coaching a promising young sales person in a one-on-one program, to training for a nationwide group, Competitive Resources will arm your staff with the tools, the competitive resources, they need to increase your bottom line. Founded in 1989, the primary focus of Competitive Resources is customized training sessions in sales/sales managment. 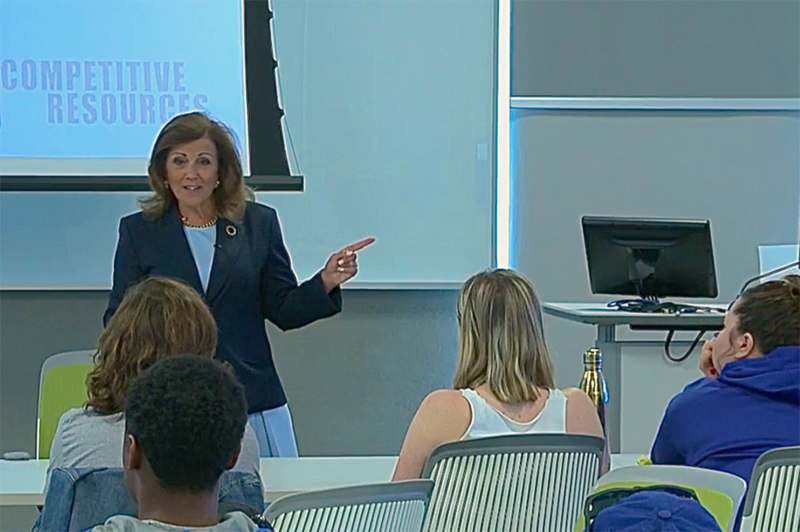 Although many of her precepts have been gained within the broadcast field, Diane O’Byrne‘s principles of selling and managing have been applied to a variety of industries. Her presentation is an unparalleled education in communications excellence. Based in the Midwest, Compeititve Resources will travel to your where your staff is located; we take the travel time so you don’t have to! From sales and management to marketing stategies, Diane will work with you to mold the perfect plan for your unique business… a plan that will bring results.